In a study led by Johns Hopkins, researchers reviewed the THC content of a small sample of dispensary products. They found the vast majority of them either understated or overstated the cannabinoid content on the label, suggesting buyers are at risk of overdosing or being cheated. Although laws in some states now permit use of marijuana for medical conditions, the drug is not subject to the same regulatory scrutiny as other prescription drugs. 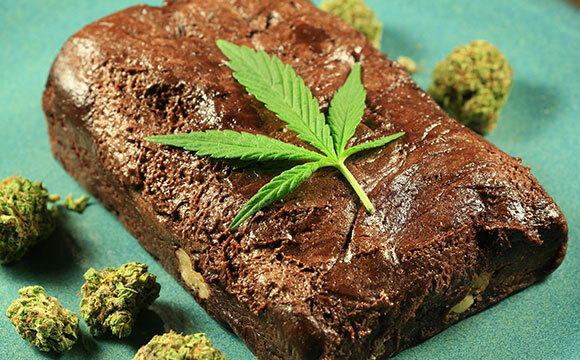 A small study of marijuana “edibles” sold for medical use shows that their labels frequently over- or understated the cannabinoid content. Such mislabeling could endanger patients or reduce the benefit they might gain from the products, the study authors say. In a proof-of-concept study, a team led by a Johns Hopkins researcher reports that the vast majority of edible cannabis products sold in a small sample of medical marijuana dispensaries carried labels that overstated or understated the amount of delta-9-tetrahydrocannabinol (THC). Though the scope of the study was small, the researchers say, the results of the study suggest some medical cannabis patients could be unintentionally overdosing or are being cheated by mislabeled products. “If this study is representative of the medical cannabis market, we may have hundreds of thousands of patients buying cannabis products that are mislabeled,” says experimental psychologist Ryan Vandrey, Ph.D., an associate professor of psychiatry and behavioral sciences at the Johns Hopkins University School of Medicine and lead author of a report on the study published June 23 in the Journal of the American Medical Association. Calling for better regulation and oversight of marijuana edibles, Vandrey and his team say patients who consume underlabeled products — meaning more THC is in the product than is stated on the label — could suffer from overdosing side effects, including extreme anxiety and psychotic reactions. Patients purchasing products that are overlabeled are not getting what they paid for, he adds. “Caveat emptor,” or “let the buyer beware,” is “just not right” for the sale of medical marijuana, he says. Comparing the THC content listed on product labels with the laboratory measures revealed only 13 products (17 percent) that were accurately labeled. When lab results differed from the product label by more than 10 percent, the team categorized those products as either under- or overlabeled. Some 17 products (23 percent) had more THC than advertised, which could lead to overdosing. The majority of products — 45 products (60 percent) — were overlabeled, meaning patients purchasing those products for their THC content are not getting the dose of medicine they believed they purchased. The team also tested the products for cannabidiol, or CBD, another of the active ingredients in cannabis believed to have medical benefit, which may also help reduce the side effects of THC. Laboratory testing showed 44 products (59 percent) had detectible levels of CBD, but the average ratio of THC to CBD was 36-to-1. Only one product had a 1-to-1 ratio, which some research suggests is associated with fewer side effects and improved clinical benefit compared with higher ratios of THC to CBD. Currently, marijuana remains classified as a Schedule I substance under the U.S. Controlled Substances Act, meaning it is considered to have a high potential for abuse, no accepted medical value and lack of accepted safety for use under medical supervision. Yet 23 states and the District of Columbia permit the sale and/or use of medical marijuana, and four states and D.C. permit its sale and use for recreational purposes. The study was supported by the Johns Hopkins University School of Medicine and The Werc Shop laboratory, which provided testing and associated costs. Bonn-Miller reports fees and nonfinancial support from Tilray (Division of Privateer Holdings) and nonfinancial support from Americans for Safe Access. Be the first to comment on "Study Shows Medical Marijuana ‘Edibles’ Mostly Mislabeled"